Have you planned your Easter menu yet? If not, don't fret. You see, this mama just realized Easter was approaching this weekend. Yep, I learned when our middle daughter said earlier this week: "Sarah told me that the Easter Bunny comes in 6 days". But my mind was saying: "whaaat, eek!" After my brief moment of panic, I got a few ideas together for our Easter weekend. And though I haven't entirely planned my own menu, I thought I'd offer up some lesa-traditional recipes for your own Easter dinner (and possibly my own)! 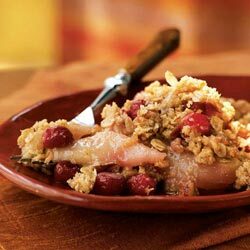 For sides, you could make a simple batch of brown rice or roasted potatoes (or sweet potatoes), along with a salad dressed with "Cumin-Cinnamon Vinaigrette" (also from ed&bv). Pair the crisp with a non-dairy vanilla ice cream, and you have a dessert fit to please your crew! 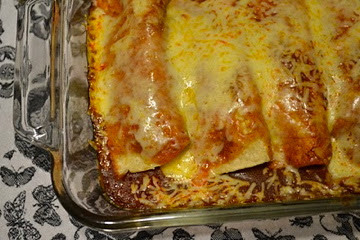 I have posted the recipes for the enchiladas and crisp for you to enjoy this Easter - or anytime. So, tell me, have you planned your Easter dinner yet? I was looking for a dish to bring to a crawfish boil this weekend and this looks perfect! Thank you! Um, I think we were on the same brain wave. I too, completely spaced it, and realized yesterday that Easter is this weekend! 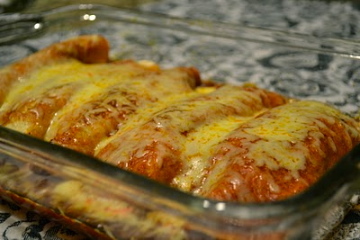 I love the enchilada idea. My husband makes signature enchildas (his mom is Mexican) which are pretty amazing. We actually have enchiladas on Christmas Eve as a part of our Christmas traditions. Thanks for posting the pics, a good reminder I need to be using your recipes more!